Attorney Tasnime Akunjee tweeted that the family is "very disappointed with the Home Office's intention to have an order made depriving Shamima of her citizenship." He said the family is "considering all legal avenues to challenge this decision." ITV News reported that the family had received a letter from the Home Office, which oversees immigration, saying that the order revoking Begum's British citizenship had already been made. The letter said Begum could appeal the decision. Begum left London with two friends in 2015, when she was 15, and traveled to Syria. Now 19 and living in a refugee camp, she says she has given birth to a baby and wants to come home. The case has reignited a debate in the U.K. about how to deal with citizens who joined IS but want to return home now that the group is on the verge of collapse. U.S. President Donald Trump has demanded that European countries take back their citizens who fought in Syria, but European nations are worried about security. 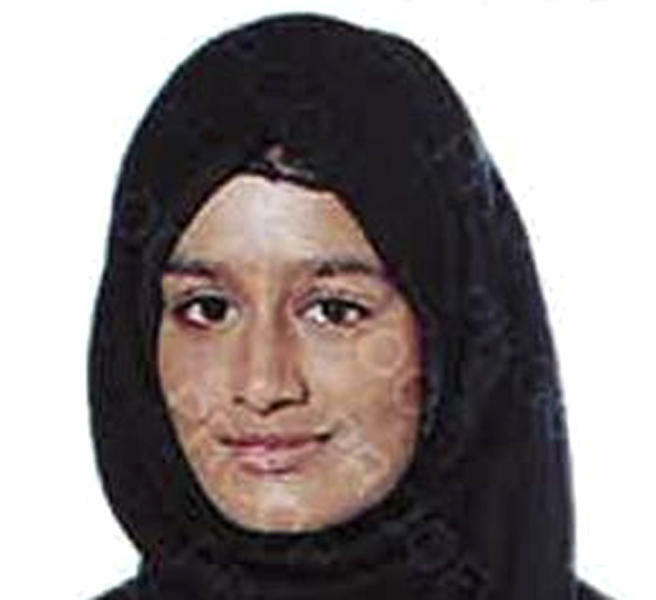 Begum was found this month by The Times newspaper in a refugee camp in Syria. She said she had fled the Islamic State group's last enclave. The teenager said she had married an IS fighter, had lost two children through malnutrition and disease, and wanted her newly born baby boy to grow up in Britain. In a series of interviews with British media, she criticized some aspects of the Islamic State group and its self-proclaimed caliphate, but said she does not regret going there. She said she had been "OK with" beheadings carried out by Islamic State adherents because she believed it was allowed under Islamic law. "I think a lot of people should have sympathy towards me for everything I've been through," she told Sky News. "I just was hoping that maybe for me, for the sake of me and my child, they let me come back." Home Secretary Sajid Javid, who oversees immigration, said Monday he would not hesitate to prevent the return of Britons who traveled abroad to join IS. The British government has the power to remove citizenship on national-security grounds, though not if it would make the individual stateless. It was not immediately clear whether Begum has a second nationality. Javid told lawmakers on Monday that more than 100 dual nationals had been stripped of their U.K. citizenship for terrorism-related reasons. Hundreds of Britons have already returned from IS-controlled areas. Some have been prosecuted, and others put through deradicalization programs. British officials say about 900 Britons went to areas of Syria and Iraq that were controlled by the group. Of those, around 20 percent were killed, and about half of the survivors have returned to Britain.